If you are nervous or anxious about your visit to the dentist, please remember we are here to help you overcome your fear. Dr. Mohan is exceptionally known for his gentle nature and his calm and composed mannerism. He is highly skilled in administering the best levels of sedation. Our dentists will happily talk to you when you come in for a consultation about any of your apprehensions. At Wellsford Dental, we offer Sedation Dentistry that will enable you as a patient to undergo complex dental treatments feeling no pain at all depending on the type of sedation. When you come in for a consult please just advise us of any fears you might have and we can recommend the best sedation option for you. Rest assured you will be relaxed and at ease throughout the procedure. The technique of Oral Sedation begins about an hour prior to your dental appointment. You will be required to take a sedative pill and after a short period of time you will then become very relaxed. Once you are completely relaxed, we will then commence treatment. After your treatment has been completed, you will awake feeling refreshed and have little or no memory of the procedure. Oral Sedation is a contemporary technique that is completely safe for patients. 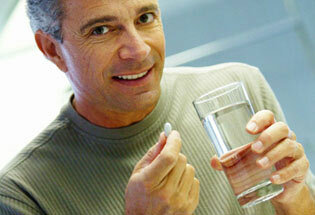 Depending on your needs, your Oral Sedation can last between 2 and 6 hours. To ensure your safety, a companion is required to accompany you to & from the practice. You will not be allowed to drive back home by yourself, so we recommend you bring a friend or companion if you wish to have oral sedation. Intravenous Sedation is a technique using a sedative, given using a vein in your arm, to relax you. We continue to use more sedative as it is needed throughout the procedure, so that treatment is very smooth and comfortable for you. When IV sedation is used, you will not have a clear memory of the time you are sedated although you remain conscious throughout the procedure and the time seems to pass very quickly. You need to have an empty stomach for 4 hours before your appointment time. You must have someone to take you home and stay with you for the rest of the day. You will not be allowed to drive back home by yourself, so we recommend you bring a friend or companion if you wish to have IV sedation. When you do arrive home, you need to rest and probably sleep for a few hours. Take care not to make any important decisions or sign any legal documents on the day, after being sedated as you may not have a clear memory about this later. Speak to your dentist to see which option is right for you.